Laird Schaub (community and consensus blog) and Ma’ikwe Schaub Ludwig (www.maikwe.net) are members of neighboring Sandhill Farm and Dancing Rabbit Ecovillage, respectively, in Rutledge, Missouri. Laird co-founded Sandhill Farm in 1974 as an egalitarian, income-sharing farming community, and is one of the creators and current administrator of the Fellowship for Intentional Community, an organization committed to nurturing and promoting intentional communities worldwide. He has worked as a group process consultant for 25 years, providing training in consensus facilitation, conflict resolution, and communication skills. Ma’ikwe is author of Passion as Big as a Planet, which explores the connection between the inner and outer dimensions of ecological activism. 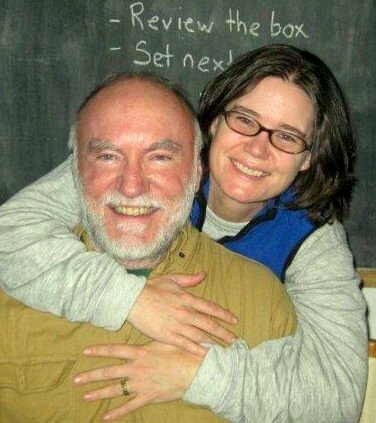 She is a consensus facilitation trainer, often working together with Laird, directs Ecovillage Education US, and gives workshops on starting communities, leadership, and spiritual activism. She is the mother of a teenage son and expresses her passion for people and planet through helping Dancing Rabbit Ecovillage grow into its vision of a full-scale, ecologically regenerative village and center for research and education. In our conversation, Laird, Ma’ikwe, and I discuss the consequences of communities lacking a common understanding and agreements around how to handle emotionally-charged conflict. We explore the strengths and weaknesses often exhibited in communities with a shared spiritual orientation, and the challenge of bringing the full range of human modes of knowing into the room—including emotional, kinesthetic, intuitive, and spiritual—in a culture that is heavily biased toward translating all forms of knowledge and experience into clear thinking. Laird talks about his experiences working with communities and the most common causes of group conflict he encounters, such as scapegoating (the contagious belief that “things would be better if only so-and-so would…”) and the tendency of groups to harden themselves around particular narratives. Finally, Laird and Ma’ikwe speak of the advantages Christian teachings offer in establishing healthy relational and communication habits in community, and of the spiritual benefits of consensus process and decision-making, and its congruence with a Christian sacramental worldview—of God in all things.